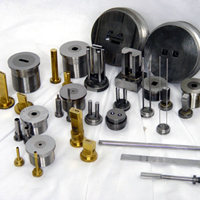 We have a wide range of tool & dies, carbide or non carbide under our manfacture products range. All shapes and sizes, intricated and complex design. In-house coating service TiNC or CrN possible with our coating facilities and also our heat-treatment process. We also cater for projects which required complex milling for prototype products with our up-to-date technology.